Remember when John Key used to talk about the “underclass”. Much recently of course John Key’s policy direction has been more about pandering to the wealthy elite, so you don’t hear so much from John Key about his concerns for the underclass anymore. But worries about the underclass still concern some people. LEFT-LEANING politicians have traditionally blamed the structure of western society for the feckless and antisocial behaviour of its “underclass”. FROM feckless fathers and teenaged mothers to so-called feral kids, the media seems to take a voyeuristic pleasure in documenting the lives of the “underclass”. Whether they are inclined to condemn or sympathise, commentators regularly ask how society got to be this way. There is seldom agreement, but one explanation you are unlikely to hear is that this kind of “delinquent” behaviour is a sensible response to the circumstances of a life constrained by poverty. There is no reason to view the poor as stupid or in any way different from anyone else, says Daniel Nettle of the University of Newcastle in the UK. All of us are simply human beings, making the best of the hand life has dealt us. If we understand this, it won’t just change the way we view the lives of the poorest in society, it will also show how misguided many current efforts to tackle society’s problems are – and it will suggest better solutions. The solution is to improve the health and wellbeing of the poorest in society and give all young people the prospect of a good job and a stake in their future. But that looks unlikely, given the economic downturn. In recent years, though, we have gained considerable insights into the prerequisites for human fulfilment. Health and security may be top of the list, but we also thrive on community, fairness, bonding, altruism, playfulness and celebration. Hard-pressed politicians seeking inspiration would do well to look to these biological principles. Right wing critics of this approach often cite studies that crime and anti-social behaviour and the feelings of alienation that accompany them, are often much less experienced in conditions of absolute poverty. In their book The Spirit Level (Allen Lane, 2009), epidemiologists Richard Wilkinson and Kate Pickett, of the universities of Nottingham and York, UK, respectively, emphasise the degree of income inequality in a society rather than poverty per se as being a major factor in issues such as death and disease rates, teenage motherhood and levels of violence. They show that nations such as the US and UK, which have the greatest inequality in income levels of all developed nations, also have the lowest life expectancy among those nations, the highest levels of teenage motherhood (see diagrams) and a range of social problems. The effects are felt right across society, not just among poor people. “Inequality seems to change the quality of social relations in society,” says Wilkinson, “and people become more influenced by status competition.” Anxiety about status leads to high levels of stress, which in turn leads to health problems, he says. In unequal societies trust drops away, community life weakens and society becomes more punitive because of fear up and down the social hierarchy. Surely there couldn’t be a more apt description of this government especially in it’s approach to social decay and inequality. That and building more prisons to house all the projected victims of their proposed policies, expose this government for what it is, a government for the rich. Bill English has a plan to rescue the Pasifikan underclass in Auckland and close the inequality gap for young Pasifikans in education and employment. In essense, it is a trial of privatisation of social services, a pilot programme that can, if successful, hopefully be replicated and franchised to other individuals around the country. So far, it has involved handing 4.8 million over to a dodgy backroom private company of good ol’ brown boys with little experience and no accountability, then washing his hands of it and turning his back on the whole affair in letting one of his junior ministers deal with the fallout. The best of british to them i say…whut whut ! …and then of course we have the mothership of culturally appropriate initiatives. Crewed by Navigators of Whanau Ora and specifically trained to deal with the Maori underclass sector of Pasifikans in NZ. To them i say, live long and prosper…nanu nanu ! Been listening with barely containable frustration to this mornings RNZ interviews on worker cooperatives. I’ll skip Laidlaw’s asinine pronouncement that NZ has cooperatives too…Fontera, PSIS etc. These companies are not meaningful expressions of cooperatives. Why do people have a blind spot to mixed job complexes? You cannot nurture democracy in an environment where some people are more empowered and informed than others. The only way that I know around that problem is what has been termed mixed job complexes. Which means that whereas the roles of managers and manual labourers are maintained, the positions are not. Everyone assumes a mixed bag of tasks. No-one gets to work exclusively at a cushy number. And no-one gets to work only doing the crap but necessary stuff that nobody really wants to do. So, you might do the accounts. But you don’t only do the accounts. You do something less desirable and less empowering. Toilet cleaning for example. And the breakup of the workplace hierarchy means that information is spread wider as well as nobody being engaged in activity that sees them more empowered than others. 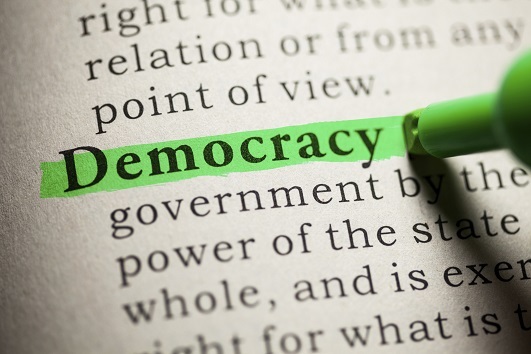 Then we get participation, because information is widely available, no ‘gate keeper’ positions exist and democracy becomes immediate and meaningful, rather than a vacuous vote to further empower some-one already disproportionately empowered. I cannot help but see the present socio-economic inequality as another round of colonisation; something which the English-speaking world seems to do relentlessly. In favour of Nettle’s thesis is the fact that the behaviours associated with poor people are not different from those of colonised peoples – and I include in this previous generations of Scottish and Irish. Note too how the term “underclass” effectively excludes a group from public debate – it is a term that can only be said seriously in the third person. Great to see Greenpeace showing that they will protest deep water drilling here. Is the fact that this government is desperate to spin this activity as safe evidence that they are now desperate? The BBC said it had a copy of a contract offered to scientists by BP and that it said the scientists could not publish the research they do for BP or speak about the data for at least three years, or until the Government gives approval to the company’s restoration plan for the Gulf. More corporate obfuscation of their responsibility. Same as what we saw from the tobacco industry.